On Saturday, February 16th, the Kings Choir program will host their first annual Heart and Song recital in the high school cafeteria at 7pm. This performance will feature the talents of Hope Milthaler’s independent study students Amy Helms and Justin Alcorn. All proceeds from this fundraiser will be used to help support the King’s Choir program. 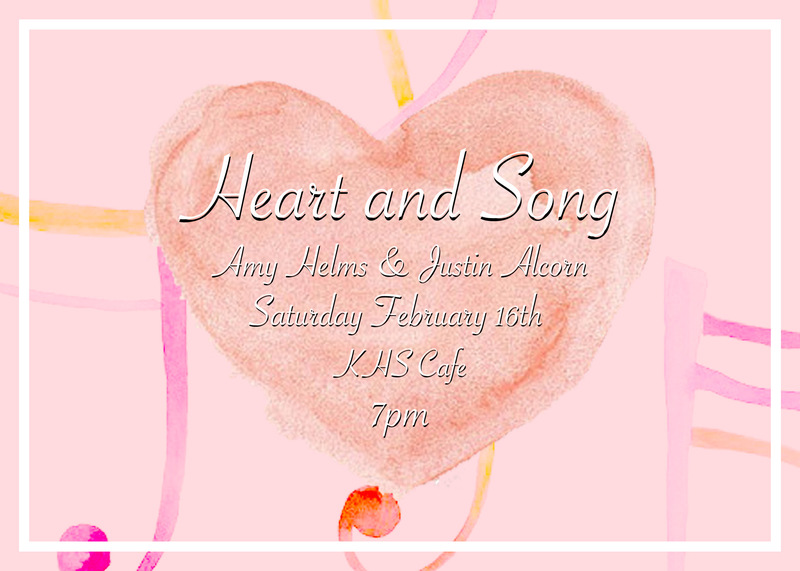 Heart and Song will feature voice and piano performances from Helms and Alcorn respectively, as well as all you can eat coffee and desserts. Alcorn and Helms have been working on multiple goals as the recital approaches. These include finding the right repertoire, performance stamina, and programming notes. Their performance at Heart and Song will also focus a lot on audience presentation and collaboration. Milthaler explained that this event would be a great experience for both Alcorn and Helms, and that their cooperation on this recital is a great first step in familiarizing themselves on working with other singers and pianists in college. Admission is $8. The recital will be approximately an hour and a half in length. This event is black tie optional.